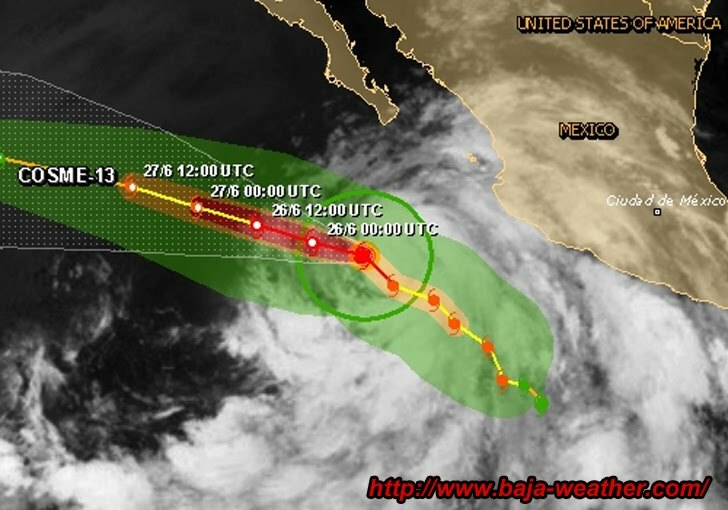 At 800 am PDT/1500 UTC the center of Hurricane Cosme was located near latitude 17.7 north/longitude 110.7 west. 605 km/375 mi WSW of Cabo Corrientes Mexico. Cosme is moving toward the northwest near 18 mph/30 km/h. A gradual turn toward the west and a decrease in forward speed are expected during the next 48 hours. On the forecast track the center of Cosme should pass near Socorro island later today. Maximum sustained winds have increased to near 75 mph/120 km/h with higher gusts. Some additional strengthening is possible today with weakening expected on Wednesday and Thursday. Hurricane force winds extend outward up to 25 miles/35 km from the center and tropical storm force winds extend outward up to 175 miles/280 km. 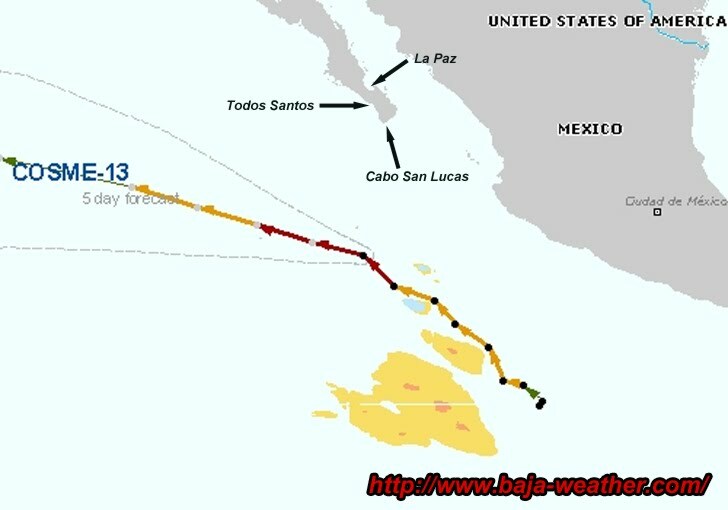 Socorro island recently reported a wind gust of 41 mph/67 km/h.